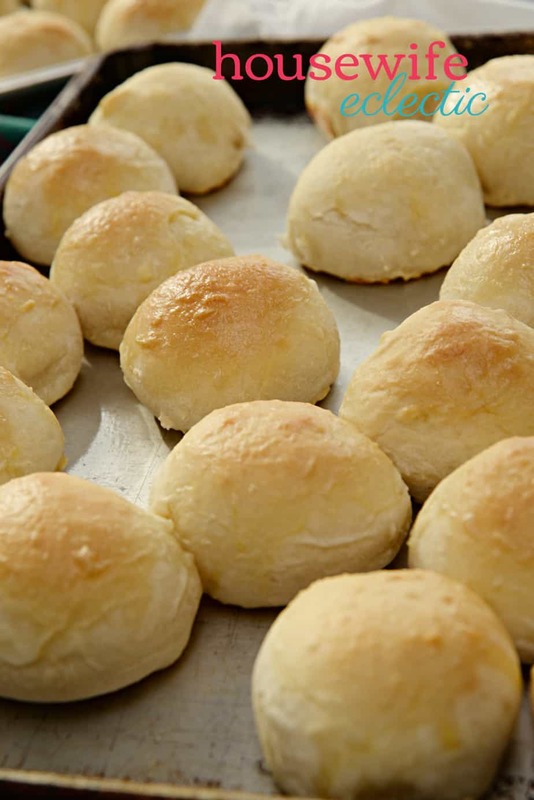 Dinner Rolls are a staple in our house. I didn’t grow up eating a lot of bread, but my husband did and he misses it whenever it isn’t on the table. This is the recipe that my husband grew up eating, so I always make sure to make them for holidays and special occasions. This one is in the middle on difficulty. It isn’t the easiest recipe because it involves a lot of time, but it isn’t particularly difficult either. If you are looking for a really easy roll recipe, try the one I posted about here. Mix everything together but the yeast and flour. Pour the flour in one cup at a time with your mixer going, then add the yeast. Mix the bread dough on high for five minutes until well kneaded. Cover and let rise for half an hour to forty-five minutes or until it has doubled in size. Form the dough into 1 inch balls and Place them on a greased cooking sheet. Spray plastic wrap with cooking spray and cover with plastic wrap and then cover with towels. Let rise for another 30 minutes. Bake at 400 for 12-13 minutes. Butter the tops immediately after the rolls come from the oven. 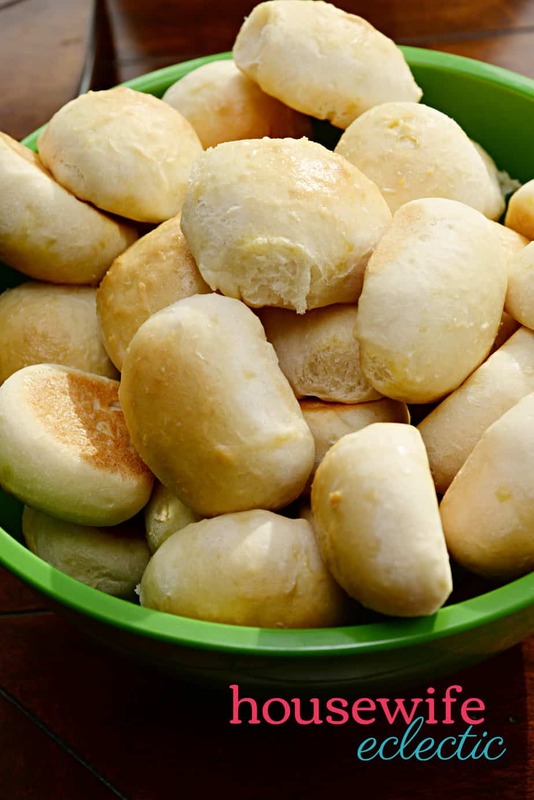 This recipe will make about forty rolls. These rolls are a great dense roll. 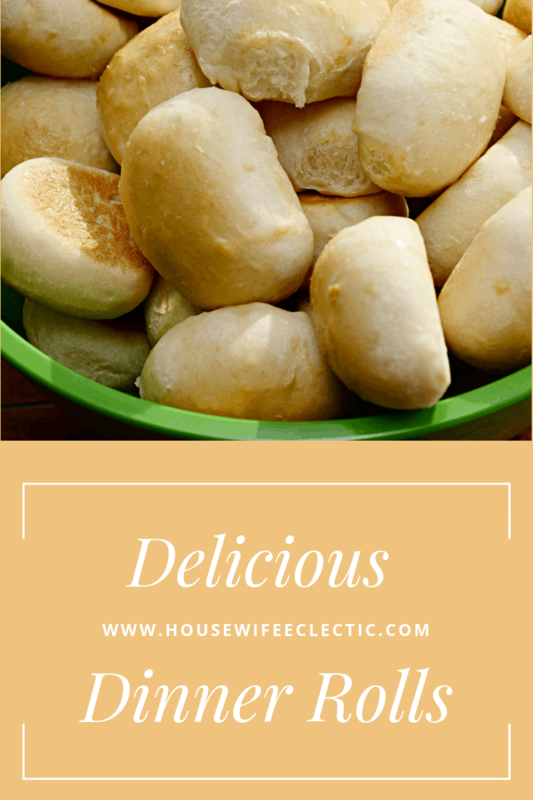 They are perfect for a leftover turkey sandwich the day after Thanksgiving! Do you usually make your bread from scratch? YUM! That's a lot of rolls…do you know if the recipe halves well..?